Figuring out how to throw a beach bonfire party requires a few different items on your preparation checklist than the average event. 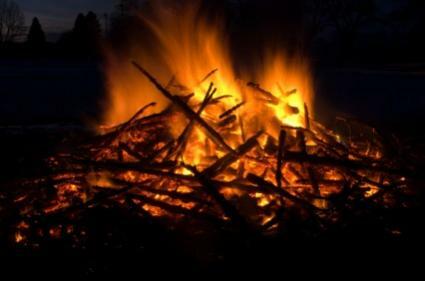 The first thing to do when planning a bonfire party is to obtain the proper permits. Call the local parks and recreation board to find out how to host a bonfire on the beach. Most beach areas have strict regulations on both beach themed parties and fires. Not every beach allows bonfires, and those that do often have restrictions on when, where and how to host the party. In addition to obtaining the bonfire permit, you might also need to reserve or book the area. Some beaches might have a bonfire pit already built, with nearby shelter areas available that include picnic tables and grills. Other beaches may require you to use a certain portion of the beach, but not necessarily have a reservation for a particular area. Calling the proper authorities in charge of the beach is the only way to ensure your party follows the proper laws. After you have obtained all the proper permits and made any necessary reservations, it is time to get started on the rest of the party preparations. Choose a themed party invitation, like a beach ball invitation, to invite guests to the festivities. Because the party is on the beach, few decorations are necessary, as the sand, sun and sea provide an eye-catching background. Pick up some coordinated plastic tableware, plastic glasses and napkins that match the invitation colors. If you plan to have a picnic or tables with food, make a few table centerpieces using beach pails, sand and seashells. Before the sun sets, plan a few party games for guests. Beach volleyball is a great game if you host the party near a net or have the essentials to bring from home. Frisbees are cheap to purchase and are great for kids and adults. Plan several outdoor bonfire party games so that everyone has a chance to play before the day is over. Check on alcohol regulations for the beach before bringing it along, as some beaches restrict it. Also, most beaches do not allow glass bottles or containers. Transport food to the beach in coolers with ice. Bring a grill and the necessary supplies if you want to make barbecued chicken, burgers or hot dogs. S'mores are always a hit once the fire gets started. Remember to keep an eye on any food that needs refrigeration and toss it or put it back into coolers in order to keep it safe. Place large rocks in a circle to mark off the area for the bonfire. Plan an extra foot around the fire for safety reasons. Begin with a little kindling and paper and add larger pieces of wood. Build up branches and wood so that the fire gets proper air. Make sure it stays within any height limits for the beach. Light the kindling and stoke the fire to get it going. Watch the fire and tend to it so that it is safe the entire party. When the party begins wrapping up, allow the fire to burn down. Throw buckets of sand over the embers to make sure the fire is out. When figuring out how to throw a beach bonfire party, it might help to come up with a back-up plan in case of inclement weather. One idea to consider is to rent a beach house or hall and move the party inside. Another idea is to move the party to someone's home near the beach and continue the party there. Finally, consider planning an indoor beach party and adding the "in case it rains" details on the party invitations.